From the moment you announce that you are expecting, pregnancy advice comes at you from all angles – from your midwife, relatives, friends and even strangers in the street. But who gives the best advice, and what pearls of pregnancy wisdom can be genuinely useful during parenthood? A new survey comissioned by Pregnacare has revealed the top 20 most useful pieces of advice given to mums around the country, with ‘sleep when the baby sleeps’, ‘ban visitors for the first couple of days after the baby is born’ and ‘fill the freezer with homemade meals’ hailed as some of the best pieces of advice. Who gives out the best pregnancy advice? The study found that 84% of mums found the pearls of wisdom shared by family, friends and health professionals useful when they were expecting. It seems that mums really do know best when it comes to giving advice. A spokeswoman for Pregnacare, which commissioned the research via OnePoll.com, said: 'It’s wonderful to hear that despite living in the internet age, a woman's best source of advice for pregnancy is still her mum. 'There can be so much advice on offer for expectant mums, it can be a little overwhelming – particularly if it is your first pregnancy. So, it’s interesting to see exactly what advice people consider to be the best they received. What other pieces of pregnancy advice did mums-to-be find useful? 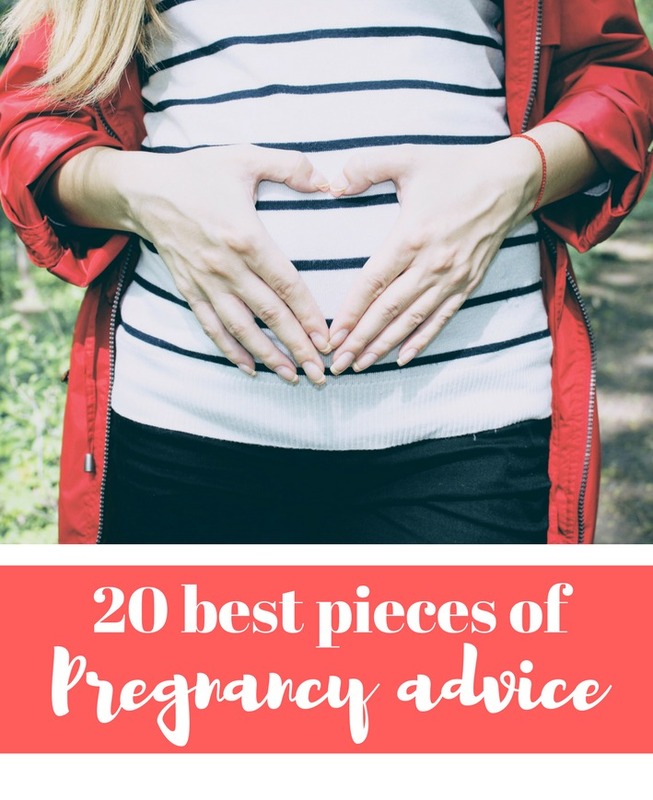 The top 20 list of good advice for pregnancy includes ‘don’t google everything’, ‘don’t eat for two’ and ‘make sure you allow time for a nap’. Other advice considered invaluable during pregnancy, according to the poll of 1,400 mums, included ‘don’t worry about the housework’ and ‘Try not to compare your pregnancy to everyone else’ made 20% of mums-to-be feel much better about things. A further 19% appreciated being ‘it’s okay to ask for help’ by others. While pearls of wisdom mums found reassuring upon the arrival of their baby included ‘don’t rush to lose the baby weight’, ‘talk about how you’re feeling’ and ‘speak to the midwife or health visitor if you have any concerns’. Other helpful tips advised mums to try to get into a routine as soon as possible, and to enjoy the new baby as everything goes by so quickly. However, despite many women appreciating the advice they were given during pregnancy and after, the study shows more than six in 10 found some guidance conflicting. 38% of mums were confused as to whether a dummy was a good or bad option, while the same percentage received differing information about bottle and breastfeeding. A quarter were told different things about drinking alcohol when expecting, and 27% weren’t sure about making a birth plan. Similarly, 24% of mums were unsure whether co-sleeping with the new born was a good idea. As such, more than half of mums stopped listening to some advice they were given due to its conflicted nature. The spokeswoman for Pregnacare added: The results are not surprising, since it is vital mums to be, go to a trusted source of information.